A room in Pet Duck. Having actually completed Gun Mage, my friend and I moved onto Pet Duck, another game that I was able to see through to the end. Pet Duck was a lighthearted top-down action game which saw the player searching through maze-like stages in search of their pet duck. 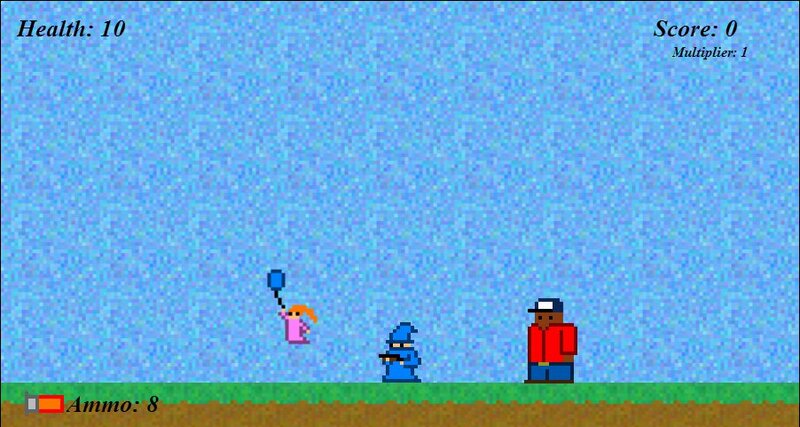 The player character was equipped with a gun but I found it inefficient – I wound up playing the game doing my best to evade enemy fire and I found enjoyment through that. There were about five stages and humorously, when the player found the duck in all but the final stage, it turned out to be a decoy. The text explaining this had me grinning each time. The most impressive aspect of the game was the soundtrack. It was an epic summer-blockbuster sort of theme that totally didn’t match the game. But, it was just one more contextual thing that made the game humorous. Pet Duck wound up winning the game showcase so congrats are in order for End to Begin Games. 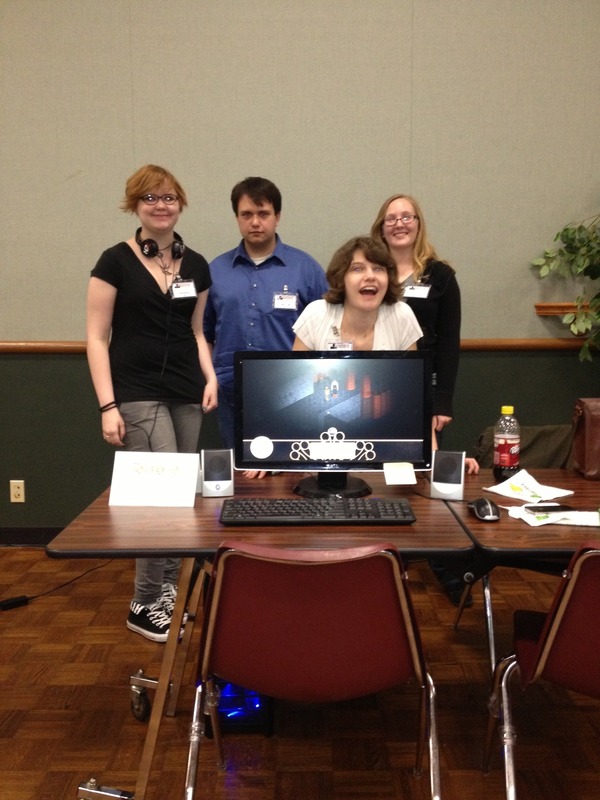 This past weekend saw The University of Tulsa hosting the Heartland Gaming Expo 2013. Per the website, the goal of the event was to showcase the creation and development of video games in the central region of the United States, primarily Oklahoma. There were a few different events and it was free and open to the public Saturday and Sunday. My friend and I went Sunday morning and hung out for a few hours, playing the games that were present and chatting with their designers. It was pretty desolate when we went on Sunday morning as many of the participants were taking part in the eighteen hour hack-a-thon that began Saturday evening. From what we gathered from some of the designers, many others just didn’t show up Sunday – which isn’t surprising as there didn’t seem to be much publicity for the event. Besides my friend and I, there were only five or so other spectators. There were about fifteen designers present though and it seemed like everyone was enjoying each other’s company. The first game I played was Project Land Mineded. 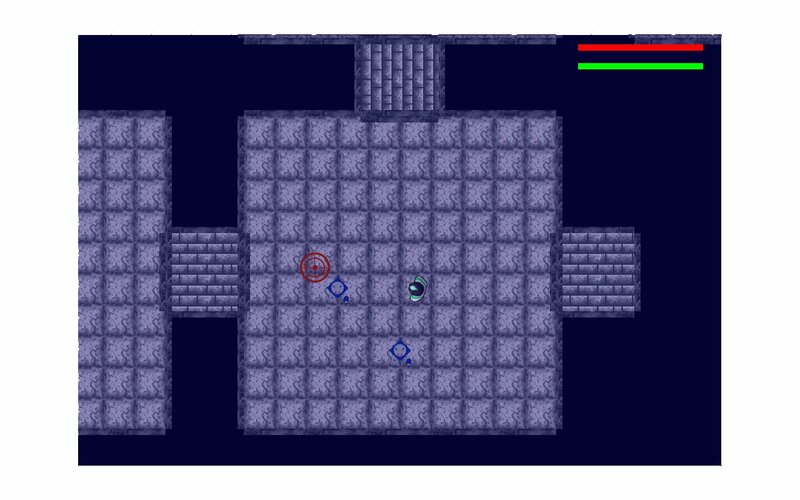 It was a first-person shooter focusing on arena-based multiplayer. 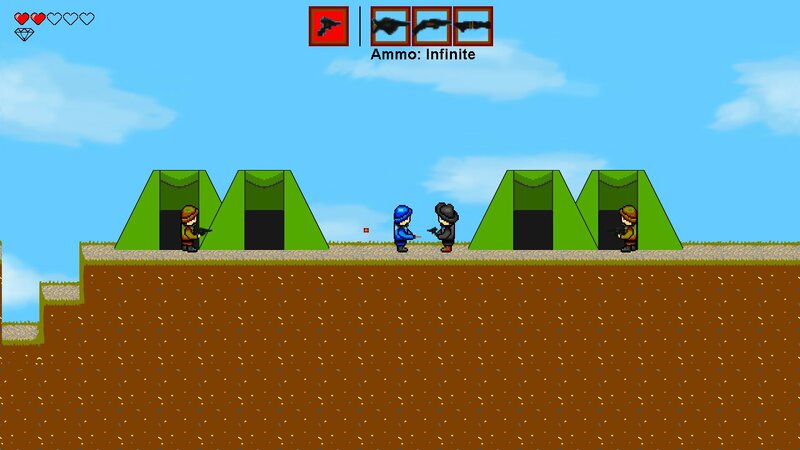 It was designed with the Unreal Development Kit and was undoubtedly the most technologically-proficient game present. The game was a fast-paced, twitchy sort of deathmatch game through and through but it had an interesting hook. The sole weapon was a rocket launcher and after firing a rocket, it ricocheted a time or two before losing momentum and becoming a stationary mine. Before too long, the arena was ridiculously littered with mines, meaning evading them was nigh-on impossible. Project Land Mineded was designed by a Norman, OK high school student – Marty Rand. What’s perhaps most impressive about the game is that it was designed using nothing but free software such as GIMP and UDK. The game’s technological proweress made a little more sense when he elaborated that he’s been programming for a long time, specifically robotic programming. He said he’d like to continue on in the game design realm and I think he has a bright future. Project Land Mineded was a blast and I can imagine with a little tweaking, it could be a commercially available product. Below is a video that Marty uploaded to YouTube and also, here are links to the game’s blog and Twitter.